Are you looking for a reliable carpet cleaning company in Forty Hill? We at Magic Carpet Cleaning are around the best in the industry. We have many years of experience and we can manage every job. Our Cleaners are vetted, experienced and trained to deliver you the best cleaning results. For more information please call on 0208 861 0979, or use the contact form below. Magic Carpet Cleaning, offers awesome cleaning service by using most recommended cleaning methods by the industry – hot water extraction and dry powder cleaning. We are equipped with professional cleaning machines provided by the leading manufacturers – Karcher and Prochem. We are in the business for a long time. We have experienced and certified cleaners. You will find that our quality services are provided at a bargain rates. 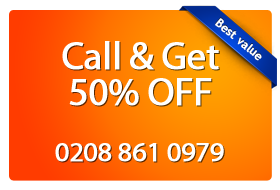 Magic London’s Forty Hill carpet cleaners have the experience to tackle all your needs. Our Forty Hill dry carpets cleaning uses an advanced powder cleaning process to freshen up your carpet. Forty Hill steam carpet cleaning uses the power of steam to deep clean your carpet and make it look like new again. Our Forty Hill EN2 upholstery, rug cleaning and stains removal services will take away from you the boring domestic carpet cleaning tasks. Also the regular cleaning of your rugs, will increase it’s life and will save you money for expensive recarpeting. Our phone lines in Forty Hill are open 24/7 everyday. If you have any questions about our carpet cleaning services, you can call us on 0208 861 0979 or just use the booking form above. Also by giving as an information about your property dimensions, you will receive an free price estimation.